Austin Cindric was a jack of all trades in 2018, working with both Team Penske and Roush Fenway Racing. Now, he’s happy to have just one priority: that being to chase a NASCAR Xfinity Series championship with the No. 22 team at Penske. Cindric, 20, recorded seven top-five and 13 top-10 finishes in his rookie campaign last season, all in Team Penske equipment. His best result for RFR was 13th at Watkins Glen International in early August. But it wasn’t all glitz and glamour for the North Carolina native last year. As his rookie season continued, Cindric showed repeated progress with Team Penske. During the playoffs, he had four top-five efforts in seven races, finishing the year with three consecutive. Throughout his racing career — which covers Sports Cars, Rallycross, ARCA, the Gander Outdoors Truck Series and now Xfinity — Cindric has never been with the same team consecutive years. But that’s not necessarily a bad thing. “My adaptability of working with people, I think that really benefited me for the challenges that I had last year,” Cindric stated. 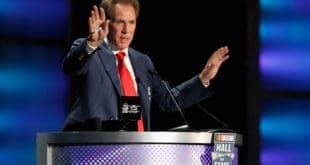 “In NASCAR, it’s so competitive and you have guys running week-in, week-out for 30 plus weekends, that you’re not looking for 95 percent, you’re looking for the last five percent. From the race at Pocono Raceway (June 2) until the playoffs beginning at Richmond Raceway (Sept. 21), Cindirc never ran for the same team in consecutive weeks. One week, he was running in the No. 60 car for RFR that almost seemed doomed. The next week, he may run in Penske’s staple No. 22 machine or in the part-time No. 12 ride that didn’t have crew members showing up to the track on a weekly basis. But that’s the past. In five races this season, Cindric has four top 10s and sits fifth in the championship standings, coming off a sixth-place finish at Auto Club Speedway after spinning midway through the race. Overall, he’s excited for the opportunity to run the full season in the famed No. 22 ride, which has won 48 races this decade. Overall, this season is Team Penske’s first shot at capturing the driver’s championship since Sam Hornish Jr. finished runner up in the championship standings to Austin Dillon in 2013. Cindric says now that the Xfinity program has something to fight for other than the owner’s title, his group is pumped. But he believes there is pressure to perform. Cindric was in contention to win a couple of races in 2018. He’s always among the favorites when the series heads to road courses due to his road course background in Sports Cars. The No. 22 car sat on the pole, won a stage and led a race-high 59 laps at Mid-Ohio Sports Car Course. However, Justin Allgaier got by in the waning laps to get the victory. Two weeks later at Road America, Cindric had an engine issue early in the race, resulting in a 37th-place finish. 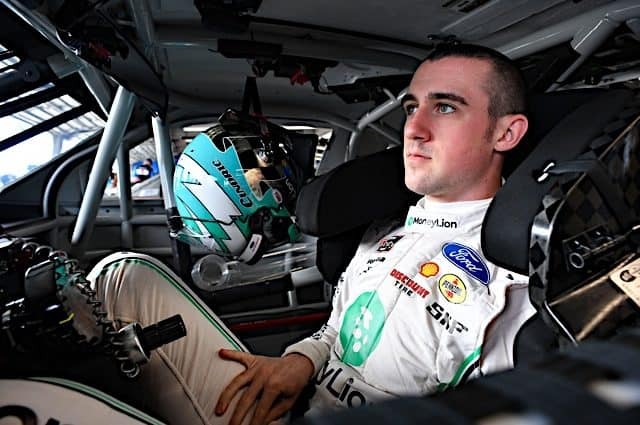 Putting a whole race together is at the top of Cindric’s bucket list this season, and he believes its one of the biggest areas he needs to work on as a race car driver. The end goal is winning. 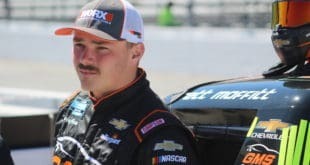 The series has an off week before heading to Texas Motor Speedway (March 30), where Cindric placed third in the fall race in 2018, only behind Cole Custer and Tyler Reddick. The Xfinity Series has its first bye week of the season this weekend. The series will return at Texas, where Ryan Blaney is the defending winner. Christopher Bell was the best finishing series regular last year in second. The small teams have come to play through the first five races this season. Ryan Sieg is the only driver in the series to have finishes of 11th or better in every race. Also, Brandon Brown has a trio of top-15 finishes, and SS-Green Light Racing has a streak of three straight races with both cars inside the top 20 (Gray Gaulding and Ray Black Jr.). Through five races, three drivers have three top-five finishes: Bell, Reddick and Kyle Busch, who has only run in three races.